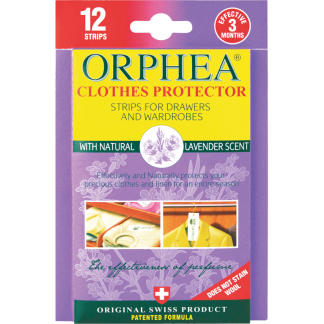 Orphea Clothes Protector strips and diffusers effectively and naturally protect your precious clothes in storage. Its formulation also includes over 400 plant and flower extracts. Its fragrance gives garments a pleasant and unobtrusive bouquet. 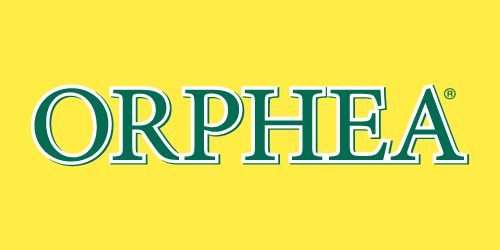 It was designed for versatility and takes up minimal space. In contact with garments, it protects them without damage. 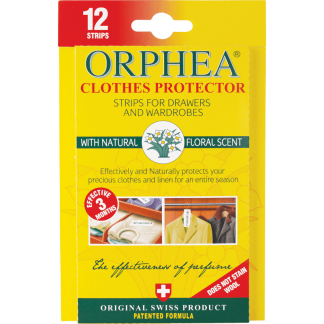 Orphea Clothes Protector strips and diffusers are blended in Switzerland using a patented formulation which includes also over 400 plant and flower extracts from the gorgeous Swiss Alps. These practical cellulose strips with a variety of unique and unobtrusive fragrances, unlike nasty mothballs, will softly envelope and protect your precious clothes and linens for 12 weeks – an entire season. 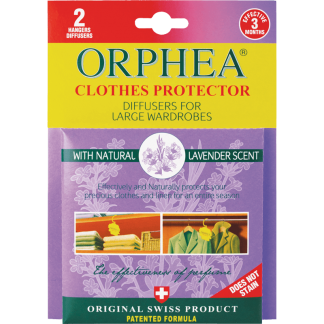 Orphea strips and diffusers don’t mark or stain, so are perfectly safe to tuck inside your expensive woollen and cashmere garments. 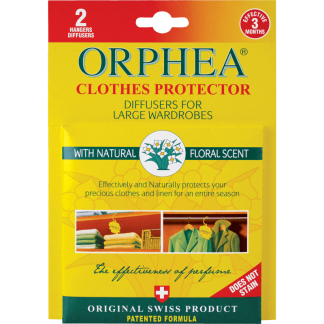 Enjoy the fragrance of protection with Orphea, the famous and trusted fabric protector par excellence for almost 100 years. 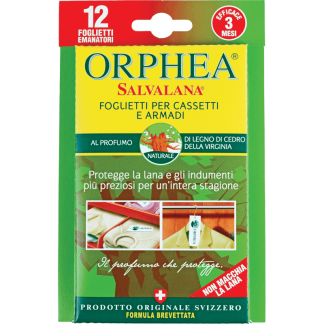 Orphea is a registered trademark of Tavola SPA in Milan, Italy.